You can view credit card offers by going to the "Credit Card Offers" tab. Click "Point Rewards Credit Cards" and "Show More Results" until you find the card you're looking for. You don't have to use our links, but we're grateful when you do. Thank you for supporting AskSebby! In the past, if you held a Platinum or Centurion card, you could access the lounge for free. If you had any other Amex card, you could pay a $50 admission fee. Starting on Oct. 2, only Platinum and Centurion cardholder will be allowed to access the lounge. Other American Express cardholders will no longer be able to purchase a day pass for the lounges. I think this is reasonable because it's hard to break even on $50 of food unless you have a few drinks. When people ask me if it's reasonable to pay the fee, I recommend getting the card instead if you can get value from it. Use the calculator here to see if the Amex Platinum is worth it for you. Given this change, my guess is that there were a lot of people paying an entrance fee, and this change is to create more space in the lounge. Amex is opening two new Centurion Lounges, one in Philadelphia and one in Hong Kong. The Philadelphia doesn't have an official opening date yet, but it should be within the next few weeks. 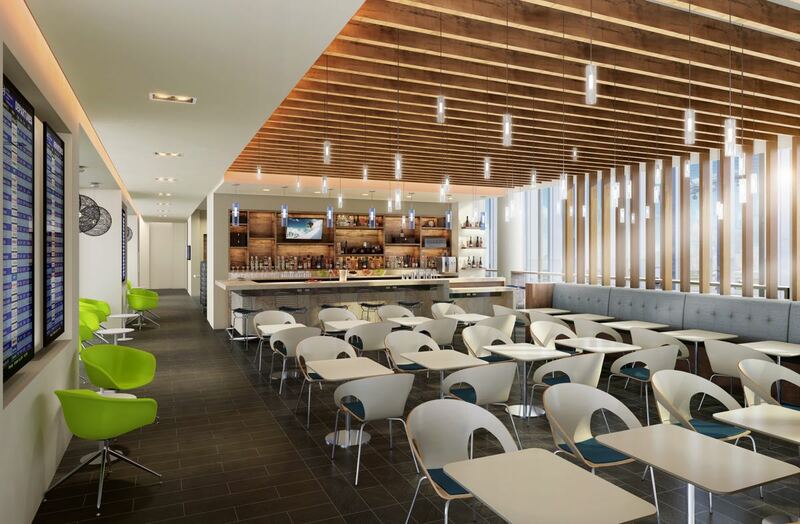 Looking at the Philadelphia concept photos, the lounge seems consistent with other domestic lounges. In case you're curious, the new Centurion Lounge will be 6,300 square feet and located in Terminal A West of the Philadelphia International Airport. The menu will feature Israeli-inspired food designed by four-time James Beard Award winning Israeli Cuisine Pioneer, Chef Michael Solomonov. The Centurion Lounge in Hong Kong, which opens on Oct. 2, is located in Terminal 1 and covers 8,000 square feet. The premium buffet will feature both locally and internationally inspired dishes. The lounge also has a private section reserved for Centurion cardholders that has a dedicated concierge and a la carte menu designed by a Michelin Starred chef. The menu looks amazing: braised wagyu beef cheek and turnip, barbecued pork with honey and steamed rice, crispy fresh prawns with black truffles, egg tarts with bird's nest, and much more. I think it's interesting that they have a whole section reserved for Black card members. Most of the lounges in the U.S. have reserved tables for Black cardholders, but not a whole section. On a side note, it's incredibly difficult to obtain an Amex Platinum card in Hong Kong. The Platinum card is invite-only and the annual fee is ~$1,000 USD. See more details about the Hong Kong Amex Platinum card here.